BIG NEWS!! 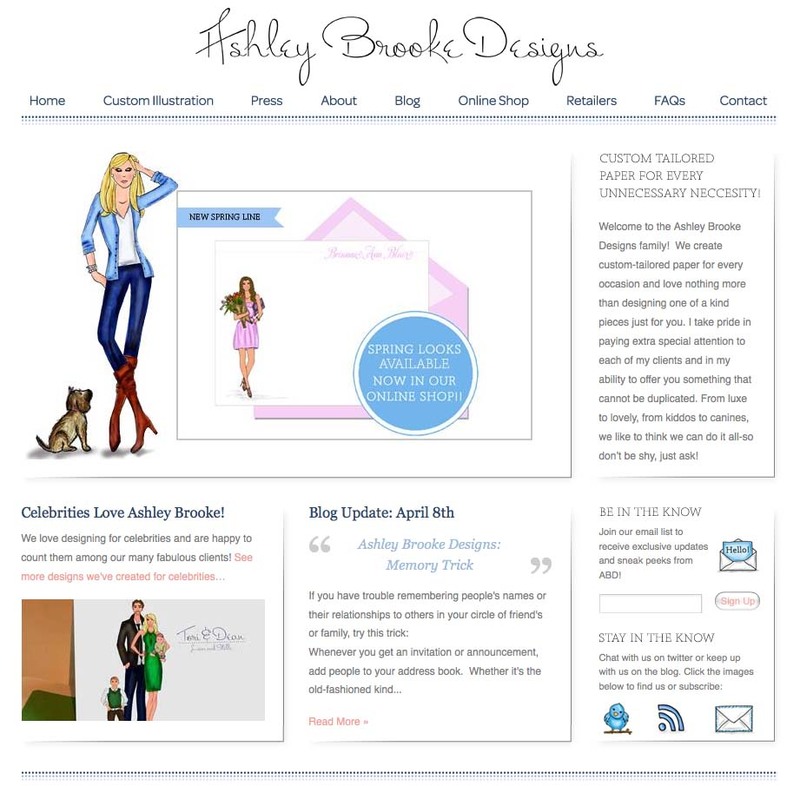 Ashley Brooke Designs has a new website! You are all going to flip over it. Be sure to hop on over grab a cup of tea, sit back and browse away! Everything is new right down to our blog! If you subscribe to this blog via RSS feed or google friend connect make sure you subscribe to our NEW blog! 1. It is just down right pretty! 2. Our new blog header icon on the top right is just too cute for words! And I will be updating it each season, so get excited for that!! 3. The archives and search abilities are incredible! You can search everything!! 5. Our new online shop is filled with pretty new things! I don't want to lose a single reader so make sure you adjust your Ashley Brooke settings!! Looking forward to all of the fun and exciting things to come! Whenever you get an invitation or announcement, add people to your address book. Whether it's the old-fashioned kind or an electronic one, you can add people's information and make a note as to their connection to others. For instance, "Goes by Bill, is Grandma's sister's son." I'm so-so excited about this design! 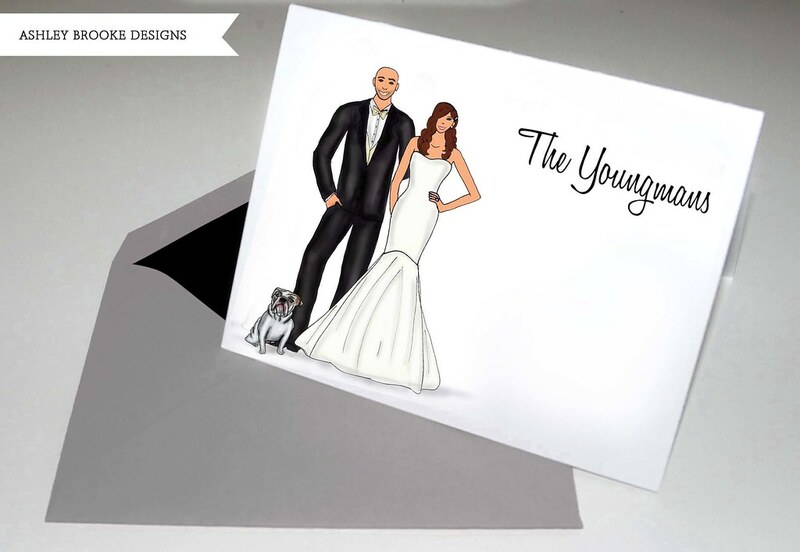 This super lovely bride contacted me wanting an illustration of her and her hubby-to-be in their wedding attire along with their precious pup! She sent me an image of herself at one of her dress fittings (by the way she was glowing!! )so that I knew what her dress looked like. She also sent images of her fiance & what he is going to wear as well! I just love, love, love the way the image came out! Wouldn't you just die if you received something SO cute in the mail?!??! We've been having some extraordinarily beautiful weather lately. After a cold winter by Florida standards, everyone is excited to be out and about (I totally stay inside due to the allergies but that's neither here nor there...). Since everyone is so eager to be out in this nice weather I thought today we'd review a couple of tips for walking your dog outside. Obviously, everyone knows to clean up after their dog uses the bathroom. But some other points to remember: Always have your dog on a leash. As convenient as retractable leashes may be, consider that with their super thin lines, retractable leashes can appear almost invisible to oncoming joggers and cyclists. Also keep your leash to 6 feet or under so that your dog can't get too far! Ashley Brooke Designs: Our Easter Weekend! 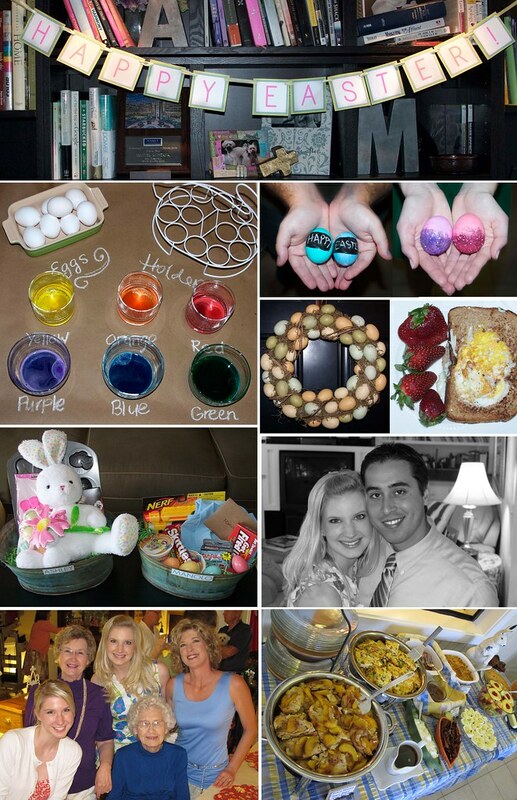 We had a ton of fun this weekend, full of family, friends, Laughs, church, egg dying, and of course good food! P.S. The bottom left photo is a forth generation (all starting with my Great Grandma Ann in the blue) picture we snapped right before brunch at my parents house on Easter Sunday! ** Note to self, never put a Nerf Gun in your husbands Easter basket, he will torture you and your furry little dog too with little foam darts all day long!! While we are emailing and twittering fiends around here. You can't run a stationery company unless you have a deep, deep love for paper and the art of a handwritten note. Years from now, your inbox will be empty but letters you've written and received will live on. That's the great thing about letters and notes. Not only are the infinitely more personal than other forms of communication but you can keep them forever and they serve as a sort of compact history of events.